It would have been Type 2 Fun alone. Because I was with a friend it was more like 1.5 Fun. With a friend it’s more of an adventure when things don’t go as planned. I often train alone. I like the solitude. I like being able to focus on my pace and my body. Sometimes having only your discomfort for company can get really miserable. This week I did two key workouts with friends. 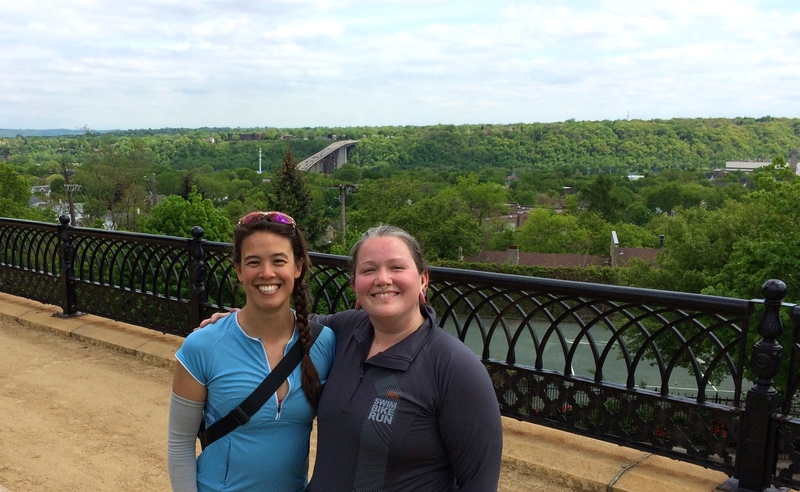 Kaitlin and I aimed for a 60 mile ride through downtown St. Paul to the Gateway Trail on Friday morning. First we got started late. Later I got a flat tire. Then the trail head was demolished without a clear detour. Finally a mile from home I got a second flat tire! We ended up with only 40 miles. Had I been alone I may have been very crabby and at least a little demoralized. Together it was fun, and not even miserable fun. The following day I ran with an old high school friend. She pushed me faster than I would have gone on my own and yet it never felt too fast. We had a wonderful time running through the woods and catching up. On my ride home from the run I got a third flat tire! This time, alone and tired I was done. I was only .7 miles from home and I called Will to come pick me up. Will then picked up my spirits with a walk to Northbound brewpub to cap off my training week. Unlike the last F*n 15 hour training week, this one was actual fun fun. This entry was posted in Fitness and tagged athletics, Beach2Battleship Triathlon, biking, running, training, training with friends. Bookmark the permalink. 1 Response to A Fun Upgrade: Training With Friends.